Are you ready to up your Instagram game and take your business to the next level? 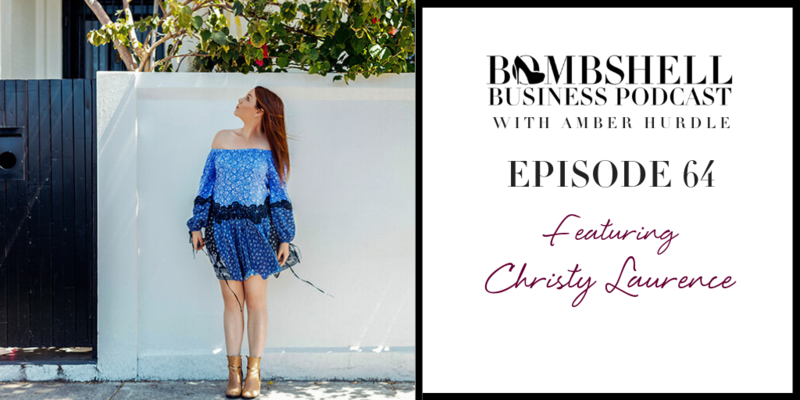 Hit play and plan to take some notes–Christy has TONS of awesome insights to share! Instagram is the best social media platform with highest engagement of any social media platform. If you use hashtags with over one million posts, it is much less likely you’ll be discovered. To get noticed, use more niche hashtags. Aim for hashtags with 100,000 to 300,00 mentions to get noticed longer. The sweet spot is between 250,000 and 750,000 – the higher the mentions, the greater your engagement rate needs to be to be seen. Now tune in to hear more of Christy’s social media strategies! Christy Laurence has been featured in multiple publications about Plann, Instagram, Creative Strategy, Marketing, Entrepreneurship and App building. With a lengthy background in Advertising, Christy used creativity to battle through recovery of freak brain trauma, eventually leaving her day-job to design a tool to help others make a living doing what they love.She is a regular Guest Blogger and Keynote Speaker on a multitude of topics and is extremely generous with her knowledge. She’s more than happy to join you on your podcast, blog, editorial piece or event – just ask!